Professor Krishnamachari’s research spans the design and evaluation of algorithms and protocols for next-generation IoT networks and connected vehicles. In collaboration with IMSC, his research group also explores traffic estimation, based on urban road sensor data, and green traffic control for smart cities, which investigates novel mechanisms based on speed limits for road stretches to influence drivers and self-driving cars to move through cities in ways that minimize their negative impact on the urban environment. His group also investigates algorithms for dispersed computing that allow for flexible and efficient distributed edge computation, which are likely to play an increasing role in smart communities in the context of applications involving video edge analytics, and distributed network monitoring applications. 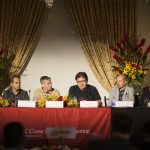 Lastly, in collaboration with both IMSC and the USC Marshall school of business, Dr. Krishnamachari’s group is helping develop a novel middleware platform for IoT in smart communities called I3, that allows real-time data providers and data consumers to exchange data in return for monetary incentives while ensuring that data owners can control who can see what data and what purpose they can use it for. 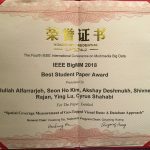 Aleksandra Knezevic, Quynh Nguyen, Jason A. Tran, Pradipta Ghosh, Pranav Sakulkar, Bhaskar Krishnamachari, and Murali Annavaram, “DEMO: CIRCE – A runtime scheduler for DAG-based dispersed computing,” The Second ACM/IEEE Symposium on Edge Computing (SEC) 2017. Keyvan R. Moghdam, Kai Huang, and Bhaskar Krishnamachari, “An Algorithmic Approach for Environmentally-Friendly Traffic Control in Smart Cities“, ACM UrbanGIS on Smart Cities and Urban Analytics, SigSpatial, 2015. 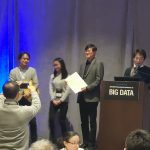 Keyvan R. Moghdam, Quynh Nguyen, Bhaskar Krishnamachari, Ugur Demiryurek, “Traffic Matrix Estimation from Road Sensor Data: A Case Study“, ACM International Conference on Advances in Geographic Information Systems, SigSpatial 2015. Chi Wang, Hua Liu, Kwame-Lante Wright, Bhaskar Krishnamachari, Murali Annavaram, “A Privacy Mechanism For Mobile-Based Urban Traffic Monitoring“, Pervasive and Mobile Computing, vol. 20, 2015. The mission of the autonomous networks research group is to perform high-impact academic research in the area of wireless and mobile networks.